Experts expressed little concern that the wireless emergency alerts could be used for political purposes. 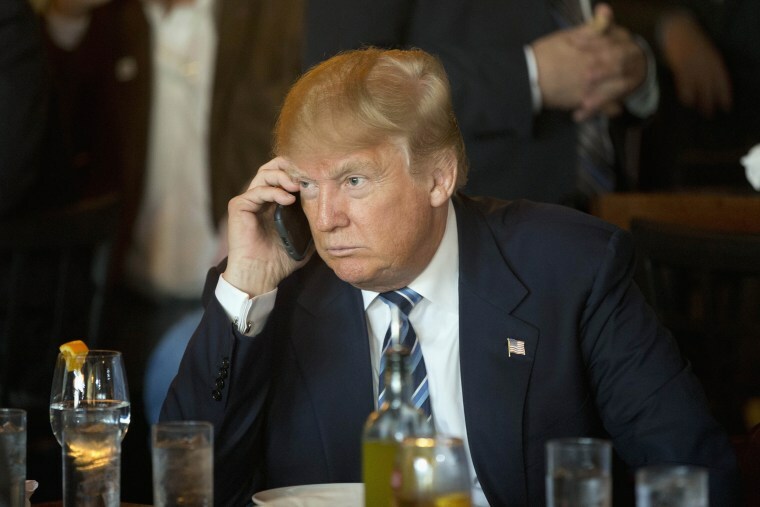 President Donald Trump may soon be communicating with you directly on your phone — even if you don't follow him on Twitter. Next Thursday, the Federal Emergency Management Agency will do its first test of a system that allows the president to send a message to most U.S. cellphones. More than 100 mobile carriers, including all the major wireless firms, are participating in the roll out, FEMA stated in a message on its website posted Thursday. "The EAS [Emergency Alert System] is a national public warning system that provides the President with the communications capability to address the nation during a national emergency," FEMA said. The test message will have a header that reads "Presidential Alert," according to the agency. The wireless emergency alerts (WEA) system was authorized by Congress in 2015 under a law that states the "system shall not be used to transmit a message that does not relate to a natural disaster, act of terrorism, or other man-made disaster or threat to public safety." Experts didn't appear to be too concerned that Trump, known to use his smartphone to blast opponents, berate subordinates and take shots at the news media on Twitter, could abuse WEA. UCLA communications professor Tim Groeling agreed, writing via email, "broadcast-based emergency alert systems ... have remained professional and impartial over decades." The WEA is a new way to reach an America increasingly attracted to fragmented forms of media found on phones, tablets and laptops. The well-worn emergency alert system reaches mainly radio and television broadcasters, cable systems, satellite radio and television providers. "A system like this seems necessary in an era where most people are disconnected from 'live' media like radio and television," Groeling said. FEMA stated that the government cannot track end users' location through this alert system. The test is supposed to take place at 2:18 p.m. EDT on Sept. 20. Under the Warning, Alert, and Response Network (WARN) Act of 2006, cellphone users cannot opt out of the presidential alerts.